''Rebecca responded to messages very promptly. The cupcakes to create a bouquet of flowers didn't only look fabulous, but they tasted amazing too ....!!! The whole family including mum who they were for were all impressed by the look and taste of the cakes. 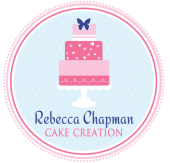 I'd highly recommend Rebecca & I wouldn't hesitate to use her again. Give her a try - I promise you won't be disappointed.